Choosing the correct Metal is an important part of purchasing your jewellery. Once you know the basics of different metals, deciding on a metal is often made a much simpler task. Choosing a metal is often decided on a number of factors, including budget, colour and metal property. Gold in its purest form is a soft metal, so is mixed with other alloys such as copper and silver to create a more durable alloy. This in turn creates a stronger and more enduring metal, suitable for everyday use. The purity of gold is graded by Karat (not to be confused with Carat measuring diamond weight). Karat purity ranges from 10 karats to 24 karats (which is pure gold). At Angelic Diamonds we sell 9 karat gold and 18 karat gold. 18 Karat gold consists of 75% gold. It is an excellent metal for making jewellery and highly recommended. 9 Karat gold consists of 37.5% gold. It is a popular choice for lots of jewellery items. Gold is naturally bright yellow in colour. The colour of gold is determined by the type of alloy and the percentage of alloy used. Yellow gold is created by mixing pure gold with an alloys such as copper and zinc. 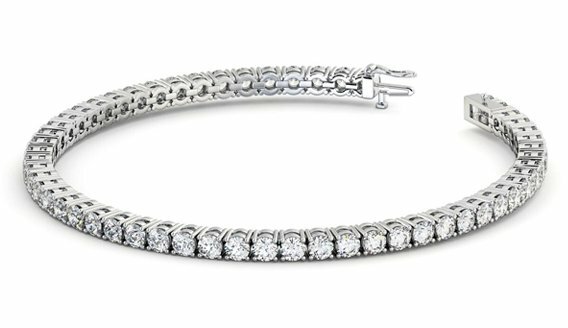 White gold is created by mixing pure gold with an alloy such as silver and palladium. White gold is not a naturally white metal. White gold is made by mixing pure gold with other white metals. This creates a metal colour that is light grey or yellowish in colour. 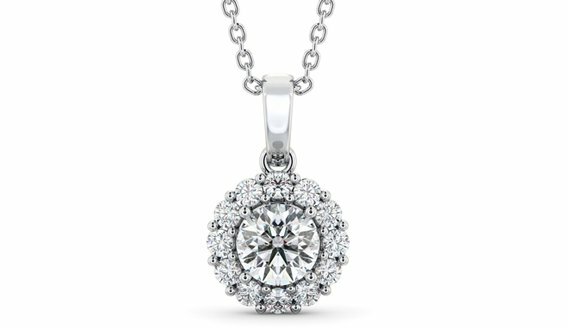 In order to create a pure white finish white gold is then plated in a metal called rhodium. Rhodium plating will wear away so regular re-plating is often required to maintain its whiteness. Rose gold is created by mixing pure gold with copper. Do not wear your jewellery when carrying out rough jobs. When storing your jewellery, always place it back in its box or a soft cloth bag. Keep your jewellery away from harmful chemicals or corrosives such as chlorine and bleach. 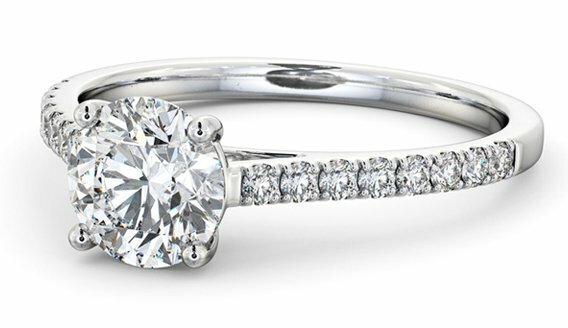 Platinum is one of the most popular metals for engagement rings. Platinum is naturally white and its colour will never fade or change colour. 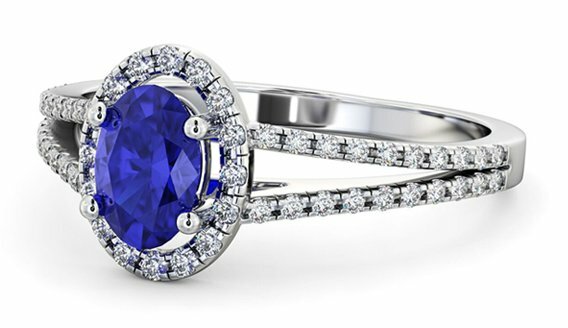 It complements the beauty and sparkle of a diamond magnificently. Platinum is four times stronger and 40% heavier than gold and is renowned for its hard wearing properties. Platinum is a rare metal, more than 30 times rarer than gold, this is why platinum is more expensive than the other precious metals. 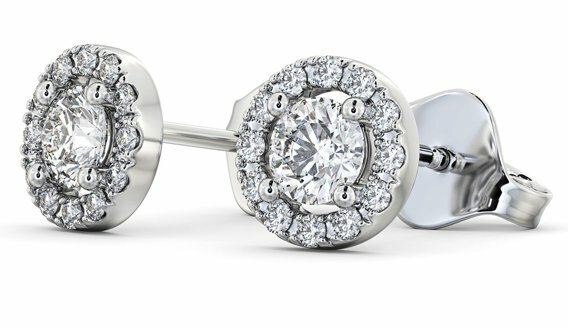 Most fine platinum jewellery uses 95% platinum, with 5% alloy. 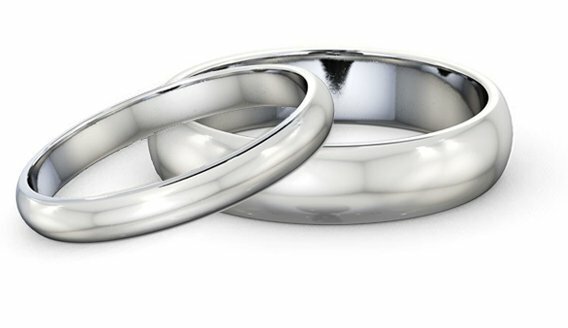 Platinum over time will scratch like other precious metals, however a professional polish will restore the jewellery to its original condition. 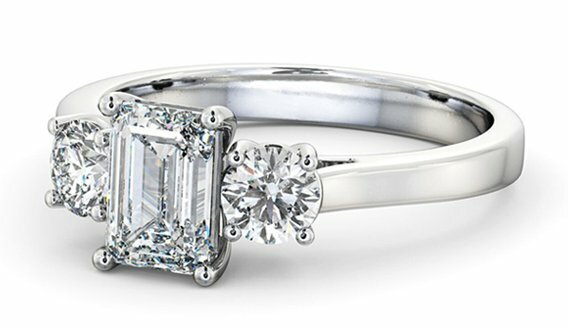 950 Platinum is a blend of 95% platinum and 5% alloy metals (usually cobalt). All Platinum products purchased from Angelic Diamonds will be a 950 Platinum alloy. Palladium has become more and more popular in recent years as a more economic alternative to platinum. Palladium is a lot more lightweight than platinum, but wears the same as platinum and is also marked '950' representing 95% purity like platinum. 950 Palladium is a blend of 95% Palladium and 5% alloy metals (usually Ruthenium). All Palladium products purchased from Angelic Diamonds will be a 950 Palladium alloy. The first main difference is the weight. Platinum is approximately 33% denser than gold. So the same piece in gold will be lighter than platinum. Platinum is harder wearing than gold. It will scratch over time like other precious metals but this is only a displacement of metal , not a loss in volume and can be polished to restore its look. Over time platinum develops 'patina' which results in a tarnished effect. Overtime gold can also fade in colour. Both metals can be cleaned and polished to their original colour and shine. Platinum has a purity of 95% appose to 18K gold of 75%. Platinum is a naturally white metal where gold is a naturally yellow metal, that is mixed with other alloys to create white. What are the differences between Platinum and Palladium? Palladium is much cheaper than platinum but posses a lot of the same qualities, however it is far less dense than platinum making it a lot lighter. Many people prefer the lightness of palladium compared to platinum. Palladium is a very good alternative to platinum, giving a similar whiteness to platinum at a price closer to that of 18K gold.